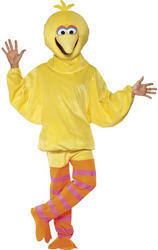 Big Bird has been educating Children on Sesame Street since 1969 and ever since then has become a firm favourite for both Children and Adults. 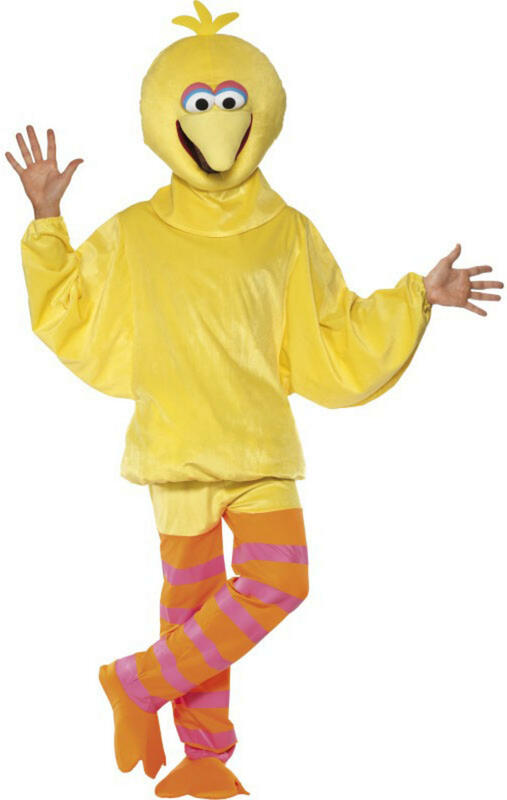 Due to his huge popularity amongst the young and old and his instantly recognisable unique characteristics Big Bird makes for a very popular fancy dress costume. 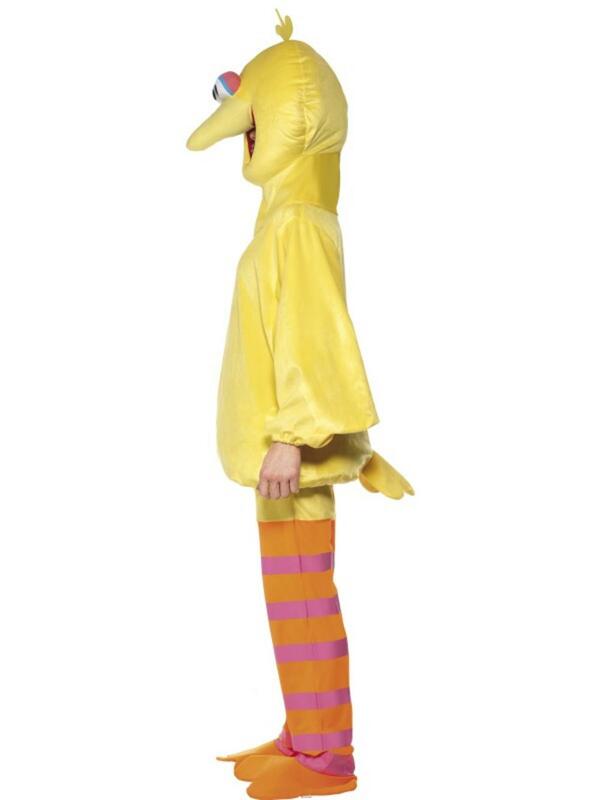 This colourful Adults Big Bird fancy dress costume contains everything for tranforming yourself into the loveable muppet and consists of a yellow jumpsuit with attached tail, stripey orange and pink leggings and a Big Bird headpiece that sports his eyes, beak and hair. 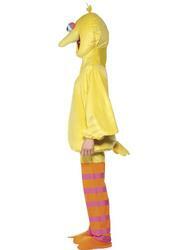 Below the beak is a space so that you are able to see whilst wearing the Big Bird costume. 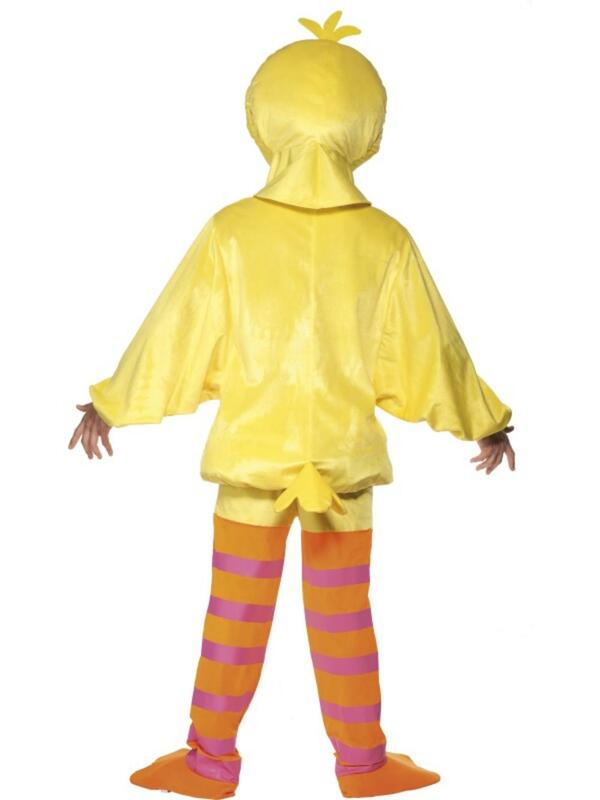 Perfect for any fancy dress party, especially when worn in conjunction with friends also wearing Sesame street fancy dress costumes, why not persuade a friend to join you dressed as the Cookie Monster or Elmo?